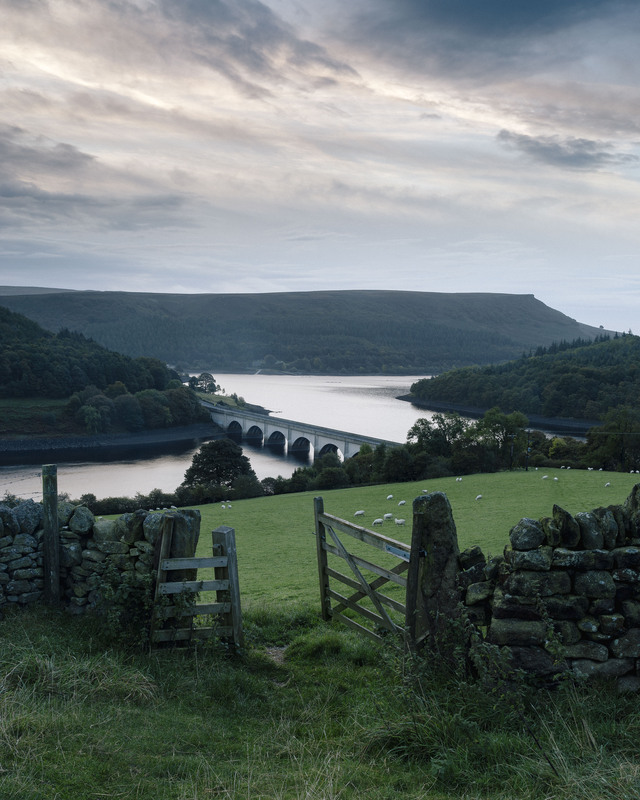 Managed to get out yesterday for an attempt at a bit of dawn photography over looking the Ladybower Reservoir. As is the way of things in landscape photography the weather forecast and reality didn’t align. But that doesn’t mean all was lost. The conditions were calm and the company good. Also, half the appeal of landscape photography is just getting out in to the countryside and enjoying being out. Using “Photographing the Peak District”, by Chris Gilbert and Mick Ryan as our guide, we headed up the side of Crook Hill in the pre-dawn dark to our spot. (We didn’t actually get as far as the spot described in the book, as we stopped at the first wooden gate we came to and were happy with the view over the Ladybower Reservoir from there with out needing to go any further :). As I say, dawn didn’t really happen, but the result is (to me) pleasing all the same.